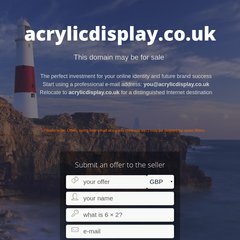 Acrylicdisplay is ranked 2,866,253 in the United Kingdom. It is written for PHP/5.3.21 language. Uk2 Infrastructure (England, London) is the location of the Apache/2 server. Its 1 nameservers are ns.acrylicdisplay.co.uk. PING (109.203.102.85) 56(84) bytes of data. A time of 105 ms, is recorded in a ping test.